Waking up to a warm shower on a cold Winter morning is one of the best feelings, right? Well, how do you think the water in your shower is heated? Water heaters are needed to help warm your bathrooms and kitchens around the home, while also providing you with clean and running water. Without a water heater, you’ll be stuck taking cold, bitter showers that are definitely not as enjoyable! Water heaters commonly come in tank form and are installed either in the back of your home or in a storage closet for added security. Most residential water heaters are electric or fuel generated, which helps heat the water inside the tank and throughout the rest of your home. Not only does a water heater heat existing water through your water storage, but it can store heated water temporarily and for future use. We encourage clients to think about investing in water heaters to make the colder months more bearable. Heated water can also help wash away germs and is used in many forms of laundry for enhanced benefits. Like previously mentioned, water heaters are best installed in the back of your home or storage location where it can be kept safe. 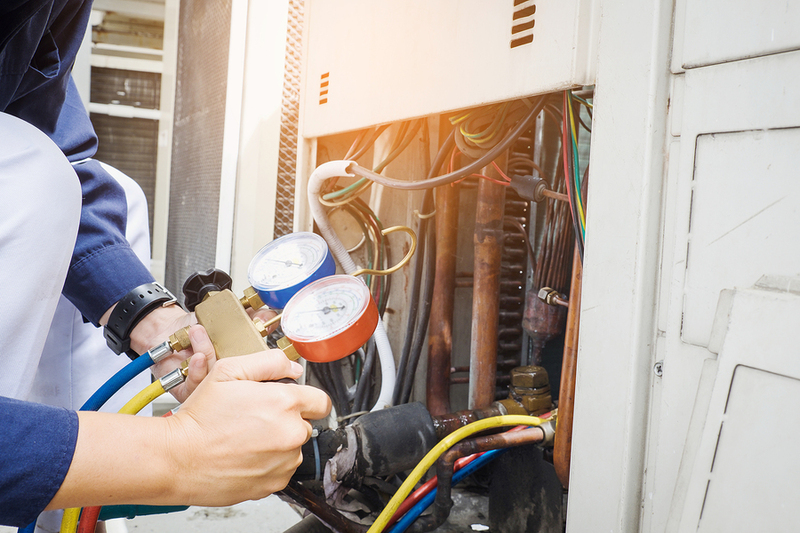 Once water heaters have begun to leak or combust, they should be repaired or replaced instantly to avoid injury to anyone and damage to your property. We install water heaters with the utmost safety and according to local standards, regulations, and codes. The new water heater is then connected to your preferred power source of either electricity or fuel for immediate use. Unlike a water heater, a water tank is simply that: a storage unit for your water. Water heaters are also installed in the back of most homes or in storage closets where the tanks cannot be tampered with. The water used in water tanks has a variety of purposes, whether it be for household use or personal consumption. Water tanks are also commonly needed or farming and irrigation purposes, especially in commercial properties. We help install water tanks of all sizes, shapes, and weights, to better optimize their use for your property. Water heater thermostats provide much more service than acknowledging the current temperature of the water in the tank. Added to the top of a water heater, the water heater thermostat allows you to adjust and determine the heat of your water whenever you’d like. If your water is too hot, you can readjust the water heater thermostat to a comfortable temperature before use to avoid injury, and it can also tell you when no hot water is available. We provide our services for water heater thermostat installations for electrical units to help you have more control over the temperature of your water. Water heater thermostats have two control panels that work simultaneously with one another to create cohesive water heating but to ensure that not all the water is heated immediately at the same time, thus creating a cooler or adjacent water reserve.